In 1908, a pioneering group of young women at Howard University established the first African American Sorority focused on sisterhood, scholarship, and service to all mankind. These young scholars envisioned a sisterhood with a strong character that would appeal to the highest and noblest aims in life. Our chapter, Gamma Eta Omega, shares in this vision of the founders by uniting women with like minds to carry on this ‘Service to All Mankind’ in the Baton Rouge community. Our pledge is to continue the outstanding service programs provided to the community for over 78 years. We have a strong and rich history filled with influential women who believe in making a difference in the lives of people. 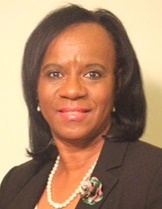 As our International President, Dr. Glenda Glover, has charged us to 'Exemplify Excellence Through Sustainable Service', we provide service through the Sorority’s signature program, #CAP℠, our chapter’s signature program, ‘Arts Camp for Kids’, and other programs designed to enrich the lives of those in the community we serve. Through our website, we hope to give you a look at what we do as we look forward to serving the surrounding community. Feel free to leave us your comments or send an email to gammaetaomegabr@gmail.com. Congratulations to Gamma Eta Omega's very own, Katina M. Semien, Esq., the South Central Regional Director! Tickets are now on sale for the 17th Annual Pan Hellenic Council Greek Step and Variety Show. Tickets can be purchased on EventBrite. There is a fee to purchase thru EventBrite. See below. Please use the Gamma Eta Omega code that allows our chapter to receive credit for the sale. Please inform your friends & family to do the same.